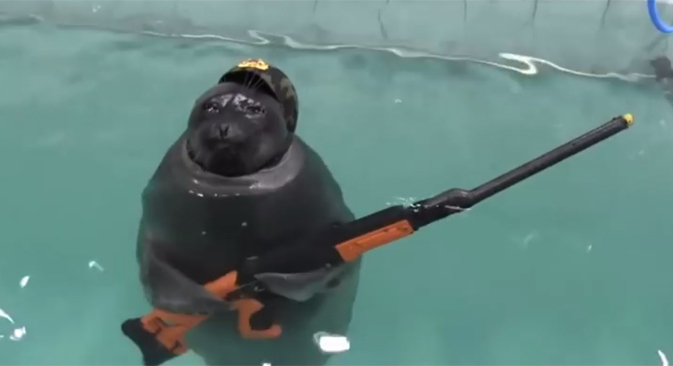 Even the seals in Irkutsk were in a patriotic mood as Russia marked Victory Day this past weekend. Just like real navy seals, these military mammals wield guns and knives as part of the Victory Day parade. The two military seals - Winnie the Pooh and Laska - held toy guns and knives dived through obstacles and raised flags during a performance at Russia's Victory Day parade on May 9th.